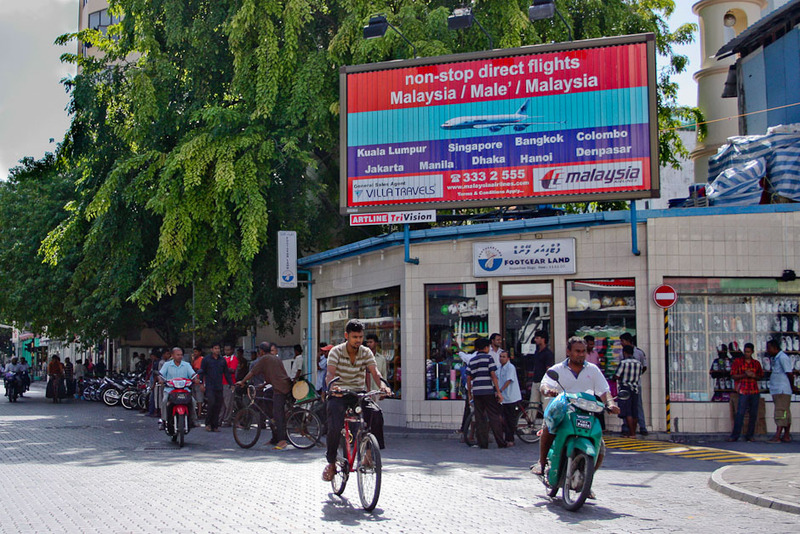 A Malaysian ad over at Majeedhi Magu and Maaveyo Magu junction. Busy area! These billboards called Tri-Visions which are able to display 3 ads by rotating their panels, are quite popular now. Especially in busy roadway near traffic lights. Great promotion by their company, thanks.